Our advanced decompression treatment equipment is used by top hospitals, including Atlanta’s Emory University Hospital. Simply Chiropractic was established with the sole purpose to help patients resolve back, neck and spine issues using non-invasive techniques. Our doctors treat chronic pain from disc or degenerative disease and injury with our specialized approach. Our comprehensive treatment plans include manual manipulation therapies as well as state-of-the-art medical treatments. Surgery results, good and bad, can be permanent and irreversible. Before undergoing a surgical procedure, and risking an outcome that may involve complications or a lengthy recovery, it makes sense to visit the Disc & Spine Center to learn about their non-invasive approach which includes Laser, Manual Chiropractic Treatment and Advanced Decompression using IDD Therapy®. *Source: Complications of Spine Surgery, University of Maryland Medical Center. Link. IDD Therapy Oscillation® is backed by independent, published studies performed on over 500 patients to whom doctors had recommended surgery. Nearly 92% of those patients AVOIDED back or neck surgery AND found the results they wanted with IDD Therapy®. View actual before & after MRI images from patients who resolved their pain with IDD Therapy. Dr. Miller is specialize in the successful treatment of disc-related pain using this exciting technology. Try IDD Therapy Oscillation® today! 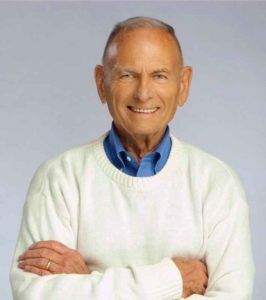 Our Medical Advisor | C. Norman Shealy, MD, Ph.D.
Dr. Shealy is a Fellow of the American College of Surgeons, member of the American Academy of Neurological & Orthopedic Surgery and International Association for the Study of Pain with over 200 published papers in the fields of pain management, wellness and anti-aging. Let us help you or your loved one find relief. Call us to set up a consultation. All you have to lose is pain!